Robert W. Hefner is a Professor of anthropology and director of the Institute on Culture, Religion, and World Affairs (CURA) at Boston University. Hefner has conducted research on Muslim culture, politics, and education since the mid-1980s, and on the comparative sociology/anthropology of world religions for the past thirty years. He has directed some 15 major research projects, and organized 11 international conferences. Recent projects have examined shari`a law and citizenship in eight Muslim majority countries (2008-2010); the culture and politics of Muslim education (2005-2007); the prospects for and the politics of civil democratic Muslim politics (2002-2004); and social resources for civility and participation in the deeply plural societies of Malaysia, Singapore, and Indonesia (1999-2001). Hefner has authored or edited fifteen books, as well as seven major policy reports for the U.S. government and private policy foundations. During 2009-2010, Hefner serves as the elected president of the Association for Asian Studies, the largest professional association for Asian studies in the world. Hefner was also invited to be editor for the sixth volume of the forthcoming New Cambridge History of Islam, Muslims and Modernity: Society and Culture since 1800. In his most acclaimed book, Civil Islam (2000), Hefner tells the story of Islam and democratization in Indonesia, the world's largest Muslim nation. Challenging stereotypes of Islam as antagonistic to democracy, this book of courage and reformation in the face of state terror suggests possibilities for democracy in the Muslim world and beyond. Vedi Hadiz is a Professor of Asian Studies and Deputy Director of the Asia Institute, the University of Melbourne. He was previously a Professor of Asian Societies and Politics at Murdoch University’s Asia Research Centre and Director of its Indonesia Research Programme. Professor Vedi was an Australian Research Council Future Fellow in 2010-2014. He was also an Associate Professor in the Department of Sociology of National University of Singapore. His research interests revolve around political sociology and political economy issues, especially those related to the contradictions of development in Indonesia and Southeast Asia more broadly, and more recently, in the Middle East. Professor Hadiz’s latest book is entitled Islamic Populism in Indonesia and the Middle East (Cambridge University Press 2016). His other books include Localising Power in Post-Authoritarian Indonesia: A Southeast Asia Perspective (Stanford University Press 2010), Workers and the State in New Order Indonesia (Routledge 1997) and (with Richard Robison) Reorganising Power in Indonesia: The Politics of Oligarchy in an Age of Markets (RoutledgeCurzon 2004,), as well as the co-edited Between Dissent and Power: The Transformation of Islamic Politics in the Middle East and Asia (Palgrave Macmillan 2014) and the edited Empire and Neoliberalism in Asia (Routledge 2004). His articles have appeared in such journals as Development and Change, New Political Economy, Democratization, Journal of Development Studies, Pacific Review, Pacific Affairs, Third World Quarterly, Journal of Contemporary Asia, Critical Asian Studies, Indonesia, Inter-Asia Cultural Studies and Historical Materialism. Professor Hadiz has been a visiting scholar in the School for Advanced Studies in the Social Sciences (EHESS) in France, the International Institute of Social Studies in the Netherlands, the Centre of Southeast Asian Studies in the University of Kyoto and the Department of Sociology in the University of Indonesia, where he is also an Adjunct Professor. Mukhtasar Syamsuddin earned his Master Degree in the field of philosophy and humanity studies at Gadjah Mada University (2000). His thesis focused on Asghar Ali Engineer's thought on Liberation Theology. During 2002, he attended Korean Philosophy lectures at the Department of Philosophy, Seoul National University, South Korea (2002). Since 2003, he continued his education and earned his Ph. D of Arts in 2006 from the Department of Philosophy, School of Humanities, Hankuk University of Foreign Studies (HUFS), South Korea. His doctoral dissertation was a comparative study on the Western and Eastern philosophies. The result of this comparative study has been published as philosophy of mind textbook entitled; “Mind-Body Interconnection: a Philosophical Investigation on the Human Nature” (Kanisius, Yogyakarta, 2014). Mukhtasar Syamsuddin was a Fulbright Scholar and delivered his lectures on the topic of Islamic Philosophy at the College of Art, Northeastern State University, Tahlequah, Oklahoma, USA (2009). His main interest and area of specializations include Comparative Philosophy, Phenomenology, and Philosophy of Religion.  Mukhtasar had served the Dean of the Faculty of Philosophy, Gadjah Mada University, from 2008 to 2012 and from 2012 to 2016. Currently he is a Professor of Philosophy, and working for his research project entitled: “The Theoretical Truth of Pancasila in the Perspective of Saul Aaron Kripke’s Analytical Philosophy (2018)”. Dewi Candraningrum is a woman activist, scholar and artist. She teaches at the Muhammadiyah University of Surakarta, and a guest lecturer in Women’s Studies (Univeristas Indonesia, Universitas Gadjah Mada). Dewi was previously the editor in chief of Jurnal Perempuan (2014-2016). She also serves on the editorial board of the International Journal of Indonesian Studies (Monash University). She founded Jejer Wadon in Bentara Budaya Soedjatmoko Solo. She received her doctoral degree from the University of Münster, Germany, and Master’s degree from Monash University, Australia. Her teaching, writing, and research are related to women’s education and literature, sustainable development, ecological studies, ecofeminism, and gender.